There's nothing I love more than being on the homestead, but every once in a while I find it is good to get away for a bit. I like to have new experiences whenever I can, and I always end up appreciating what I have even more when I return home. This past week I had one of the most fun trips of my life with two of my best girlfriends, Heather and Angela. We decided early this year to take a road trip together and agreed our initial destination would be New Orleans! Our first stop there was Café Du Monde for the world famous beignets (fried squares of dough dusted in powdered sugar) and café au laits. We decided to go through the take out line and eat our beignets behind the restaurant in a cute little area with the most beautiful doors. From there we spent the rest of the day exploring the city. We took a little ride on the trolley, just because, and kind of got out of the way a bit so we ended up walking the rest of the day. 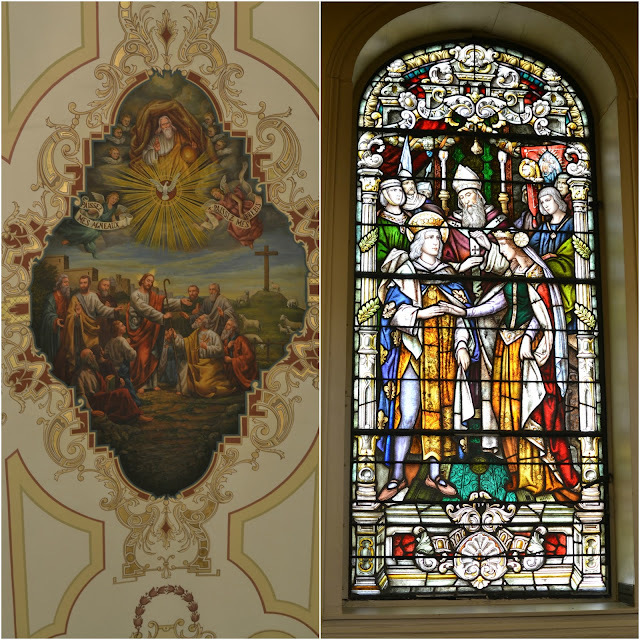 We saw the farmers market, flea market, Jackson Square, and visited the St. Louis Cathedral. The cathedral is absolutely gorgeous with old wooden pews, stained glass windows, and murals all over the ceiling and walls. Plus it was air-conditioned, so it gave us a nice break to sit and cool off a bit after walking around in the humid heat all morning long. After Jackson Square, we headed over to Bourbon Street. We really wanted to see it, but the nightlife scene isn't our thing, so we made sure to go during the day (apparently it can get kind of dangerous at night as well). On the way down to Bourbon, we heard some awesome live music, so we stopped and watched the street performers for a bit. They were amazing! I even took a quick video so you could get the authentic New Orleans experience. I made sure to give them a few dollars before passing by. I love music and try to support the arts whenever I can. Just a short walk past the performers, we reached Bourbon Street. It was neat to see all the different shops and signs, but we didn't end up spending too much time down there. We are glad we went to see it, but agreed it wasn't our favorite part of the trip (the smell didn't help much!). One of my favorite parts of the trip was visiting the Garden District in New Orleans. The houses in this area are some of the most beautiful and grandiose I've ever seen. Heather was driving, so I enjoyed just looking out the window as we drove past all the estates. I loved the marble staircase and dark entry doors. After a quick bite to eat in the Garden District, we headed back downtown because we had a steamboat cruise planned for the evening. It was actually a crazy night, because just as we arrived at the dock, we saw a steamboat taking off into the Mississippi and thought we missed our cruise! We figured we could at least ride the ferry to get the river experience, so we rode that a couple times. After exiting the ferry, Heather saw another steamboat getting ready to take off at a different location on the dock and come to find out, that was the boat we were supposed to board! The gates were closed, but we made it just in time to get on board before the boat took off. Phew! It was such a lovely cruise and when the sun went down all the buildings looked so pretty all lit up. After the cruise it was getting late and we were exhausted, so we called it a night and headed back to the hotel. The next morning we were heading to Gulf Shores, AL to spend a day at the beach, but things didn't go as planned and we didn't make it there until just before dark. We did stop at Gulfport, MS on the way there and checked out their beach after some shopping at the awesome outlet mall. We weren't too impressed with the beach there, but we did see some of the cutest gulls. I tried to get close to them to get their photo but they kept flying away from me! I did manage to get this shot which I think turned out really cute. The next morning we headed home, and stopped in Memphis for an early dinner on Beale Street at Miss Polly's Soul City Cafe. This was actually my favorite meal of the whole trip because it reminded me so much of my grandma's "soul food" cooking that I grew up with. It was so delicious! I've always wanted to see the ducks at the Peabody Hotel, so before leaving the city we checked them out and I was in love! I didn't get to see them take their parade through the hotel to the elevators back up to their rooftop home, but maybe I'll get to see it someday. We really packed a lot into our four day road trip and I have so many happy and funny memories that I will cherish forever. I kept joking that we'll have so many stories from this trip to tell our kids someday. The kind of stories we will tell them over and over again and they'll know them by heart and get sick of us telling them, haha. For me, the best part of coming home is seeing all the animals. Gizmo seems to have grown so much in just a few days while I was gone! As much as I enjoyed returning home, I think David was even more thrilled to see me. He had to tend the homestead all by himself while I was gone, and this week was a crazy busy week of band camp for him, so he had his hands full. Maintaining the garden and tending to all the animals while working full-time is definitely hard for just one person. But he did a great job and the garden totally exploded while I was gone. PS - I'm still playing catch up, but I look forward to checking in with all my blogging friends soon! Wow - looks like so much fun!! Beautiful pictures. I especially love the little ducks! A girls getaway would be so fun! Sounds like you had a great trip! Hopefully you don't have too much to do to get caught up around the home and work.....that's one of the worse! i loved this post. beautiful pictures. I am a south louisiana girl and your NOLA road trip made my day. I also like the idea of it being a girls trip. My sisters and I are planning a road trip soon, maybe next spring. It was sweet that your husband was glad for you to be home. sounds like a fun trip full of lots of sights and culture to soak in. the cathedral is especially pretty! That sounds so much. Paul and I went for our fifth wedding anniversary and had such a fun time. Fun!! Glad you headed straight to Café Du Monde ~ delicious;) My dad grew up in this town and I have four cousins that reside still reside there. Paula, Pammy, Patty, and Penny. Yes.. that's right AND.. two of them were married in the Cathedral. Amazing it was! It's been so long since we've visited and I'm anxious to go back. Glad you got a way ~ we all need that from time to time. Good for you! That sounds like so much fun! I'm glad you had a good time, and happy to be back home again! I feel much the same - my home is my sanctuary, but I love seeing new places now & then.. and I think it makes us appreciate everyday life when we have small breaks form it. Sounds like a really fun trip! And your photos are terrific as usual. New Orleans is such a cool city, one of my favorite places. My mom and sisters and I are planning to visit around Halloween this year. We want to do a ghost tour and stay in a "haunted" hotel--oh, and see the Garden District. What a fun trip! The video was so fun to watch.... I do hope to visit there someday. I've never been to New Orleans, but from your photos feel like I've "been" there now. Thanks for sharing your trip with us! A getaway is always a good idea! So glad you had a girls' getaway. Sounds like a fun trip. Glad you are back home safe-n-sound. Looks like you had a great time! You fit a lot into your time there and saw so many great sights! Lovely trip yes I to felt I was there with you..great to have a little break , but always great to get back home. The Video was awesome! Love the pictures to and thanks for sharing your 4 day trip Tammy. You had me at "fried squares of dough dusted in powdered sugar" :-) seriously though, awesome picture. That church is simply breathtaking. oh how fun!! i've always wanted to go to nola but we just haven't yet...what a perfect spot for a girls get-a-way....enjoyed your photos and narrative! That's so cool! When I saw the picture of the ducks I remembered a bit of that story that was told to me when I was a kid, I had to look it up to remember the rest of it. Very nice photos!! It sounds like you had a great time, Tammy! I love your pictures and the video. I've never been there, but it's certainly a place I'd like to visit! I've never been on an actual road trip and have never been to New Orleans either. Sounds fascinating and you actually had fun. It sure is great spending time with friends. Welcome Home! Yeah, I know what you mean about the smells on Bourbon Street! A friend and I went several years ago and went on a midnight ghost tour and that was a blast. 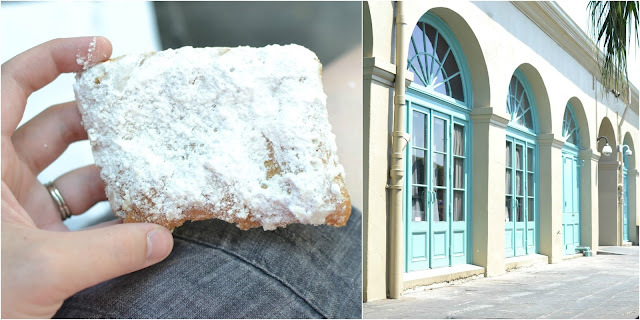 We ate beignets and did the garden district as well. But we also drove out of the city and did several plantation tours. Fascinating. 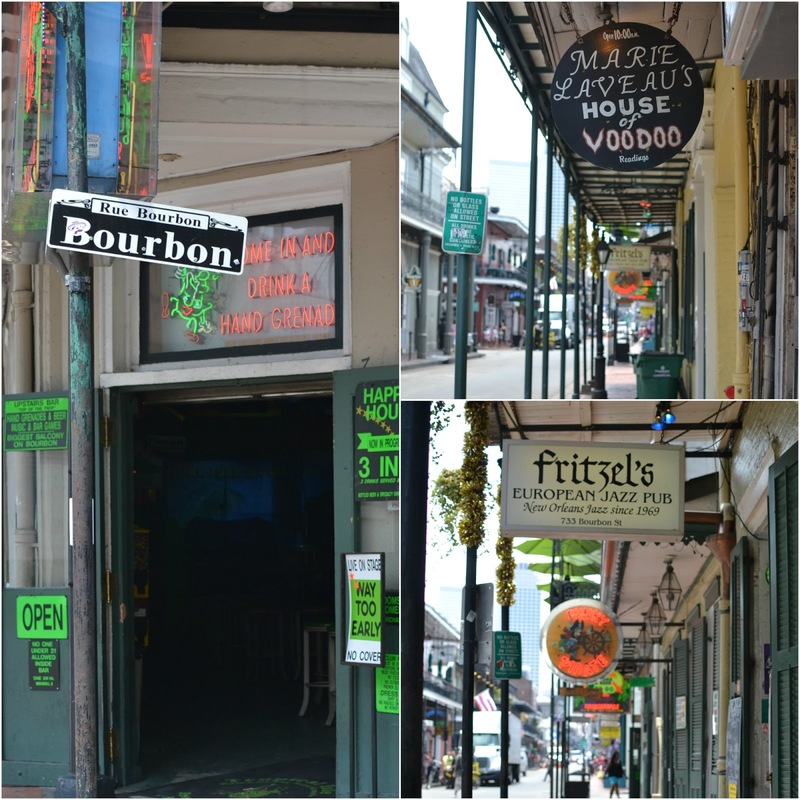 New Orleans is not my favorite city to visit, but you've got to experience it! Pretty pics :) It looks like it was a fun trip! When I saw your picture of the beignet - I knew where you were!! Looks like you did it all!! I'm taking my husband there for Spring Break! He's never been! Beautiful pictures!! Tammy, what a fun road trip with your girlfriends. You deserve a nice getaway! And New Orleans is a beautiful city to visit. Thanks for sharing your photos. Very educational post!. now i'm enthused to go and visit there! What a fantastic road trip. I've always wanted to go to New Orleans and all your pictures make me want to go even more. I'd love to visit NOLA someday. SUch a fascinating place. My friend saw the duck parade at the Peabody when she was visiting her cousin who lives down there. So cute! My husband's been, I have not. This looks wonderful! I love the outside music, they were kicking it in that video! Thanks for sharing your trip. I'm heading to the states next year band it is always great to see the cool places I could go! I'd consider New Orleans for the music alone! San Frsn and Boston are also pretty high up there! And of course New York! wonderful trip, thanks for the photos. I love the pictures! So much fun to be able to travel with you through your post :) Having fun catching up now that I'm so behind but at least I have lots to read and lots of good pictures to enjoy! :) So glad you had such a great time! I'm glad you had such fun on your trip. That clarinetist was amazing. I wish I could play like that. I would love to go to New Orleans some time.